We manufacture Liquid Carbon di oxide mini storage tanks of capacity 990 Liters. The unit comes with all safety features as per norms . 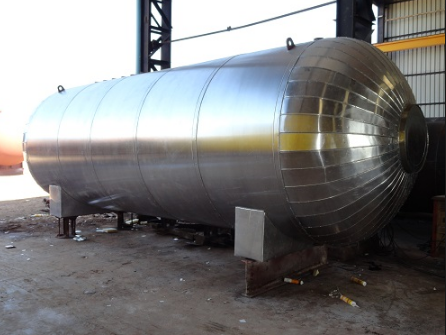 The tanks are insitu PUF insulated with Aluminium caldding. All accessories like safety fittings , valves , pipelines are also insulated .